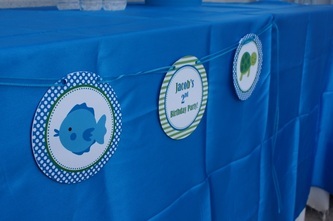 Since my little man is obsessed with all sea life and especially SHARKS, this year's theme was so much fun! 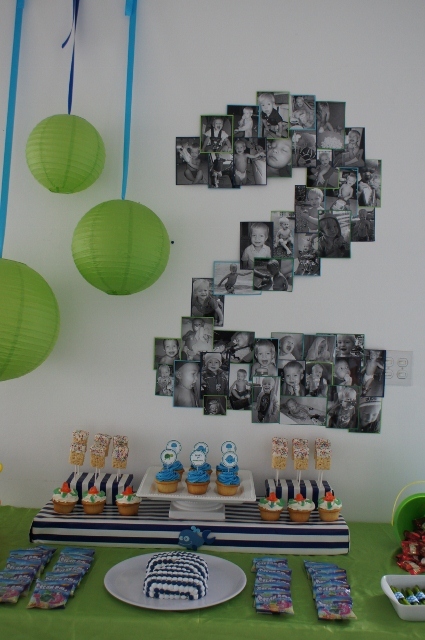 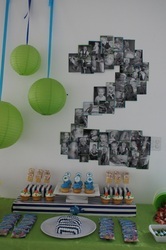 It is so great to hear him call out the names of the animals he saw in the decor. 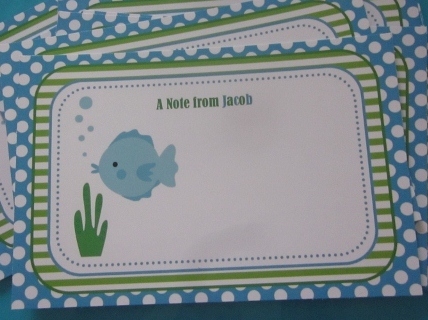 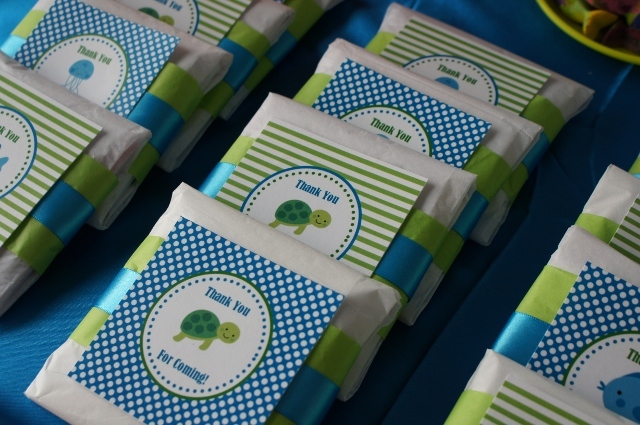 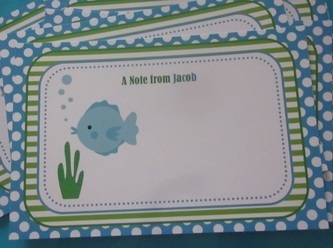 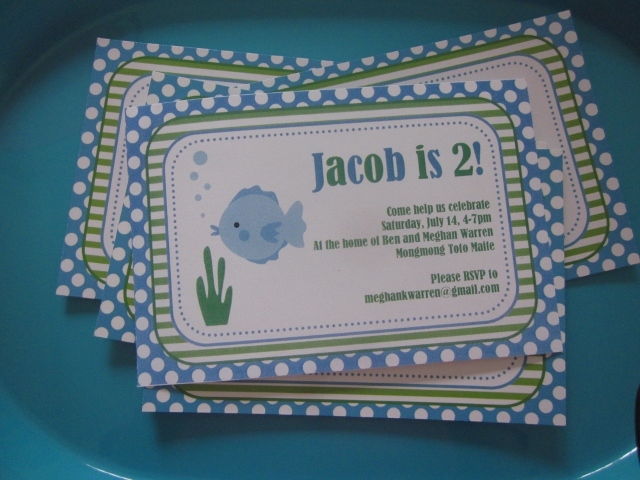 I chose an adorable printable design from The Paper Blossom which included these invitations and thank you notes. 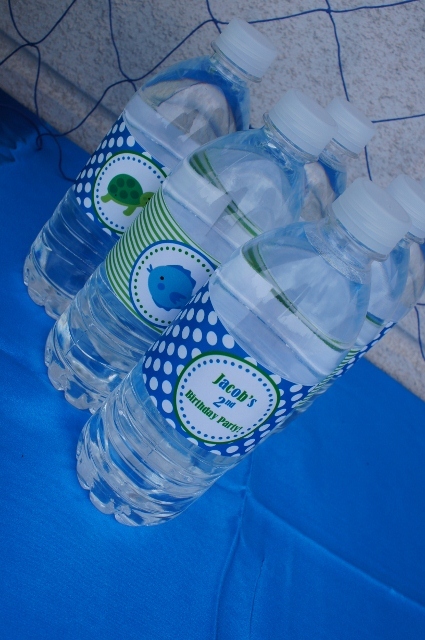 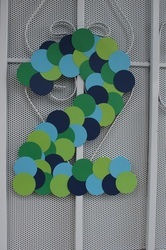 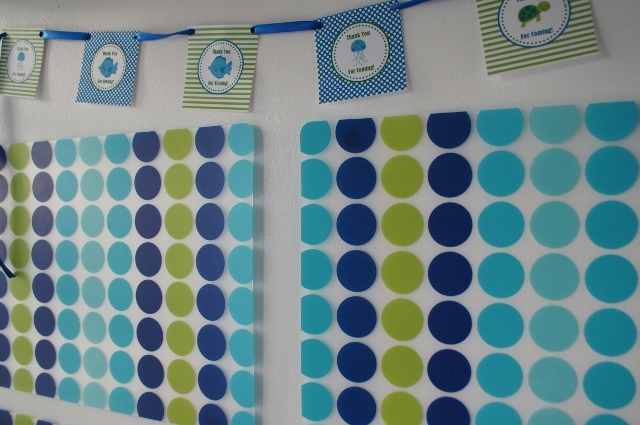 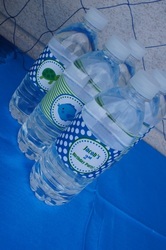 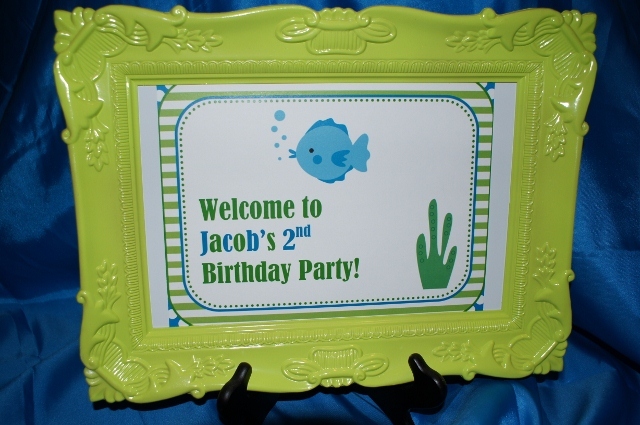 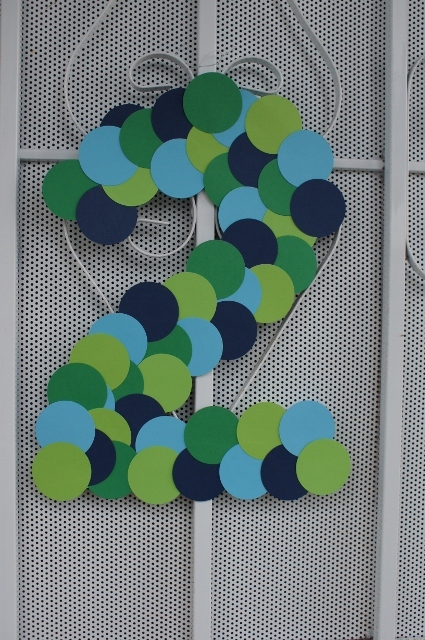 As the guests arrived, they were greeted with the #2 door hanger and welcome sign. 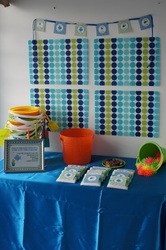 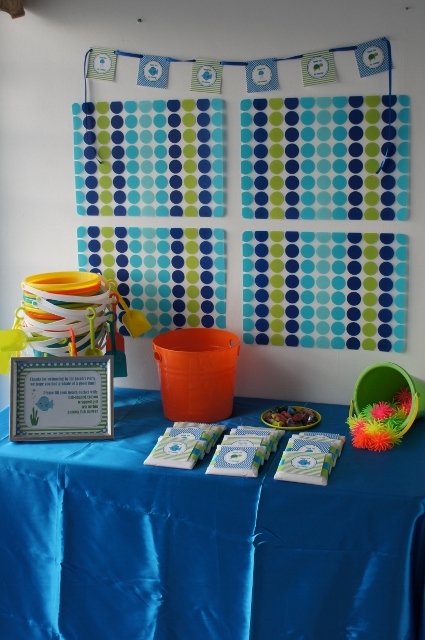 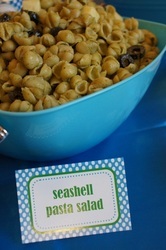 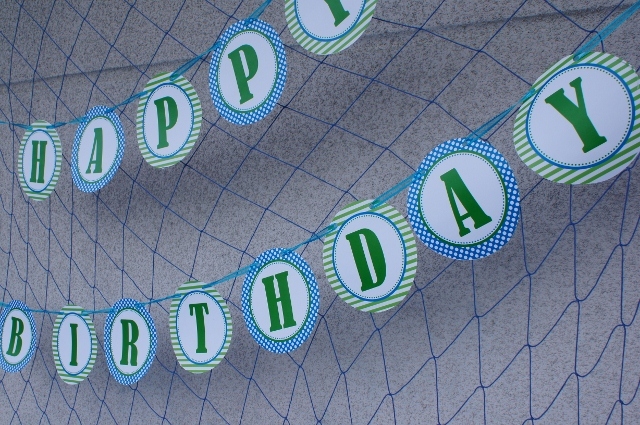 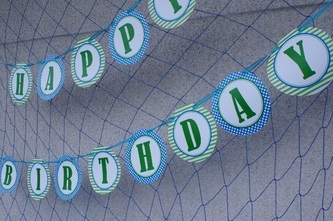 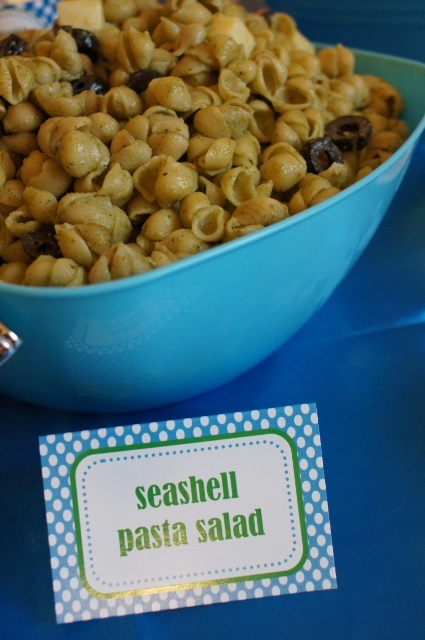 I used a fishing net for the backdrop and accented the table with more printables from The Paper Blossom. 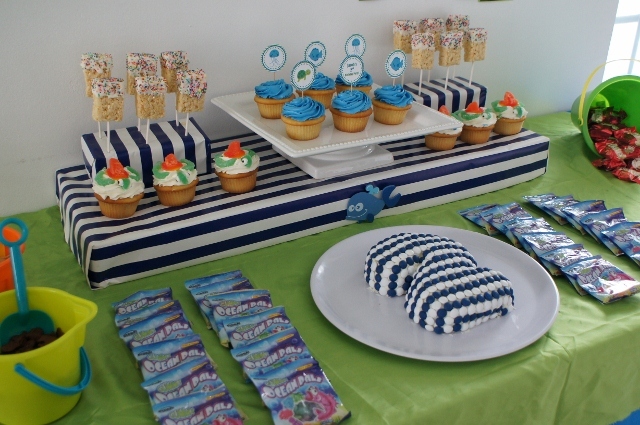 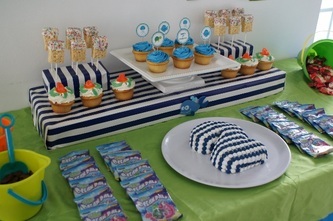 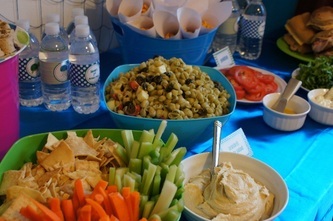 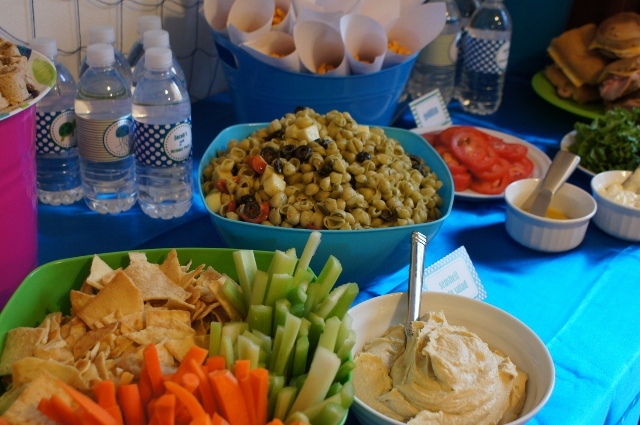 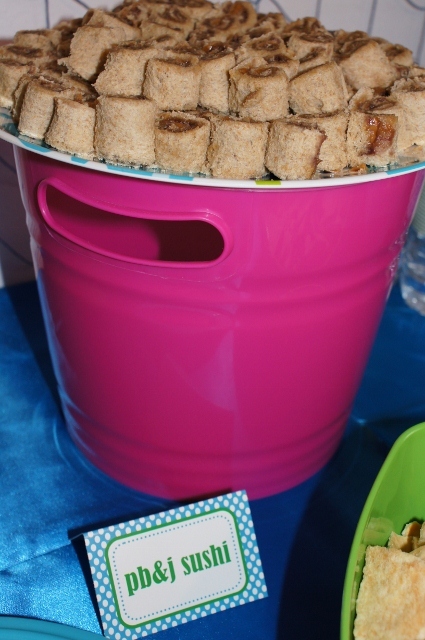 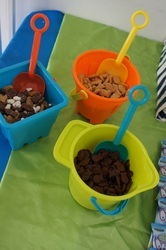 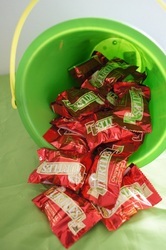 The dessert table is always my favorite to design...I like to make it fun to include the adults and kids at the party. 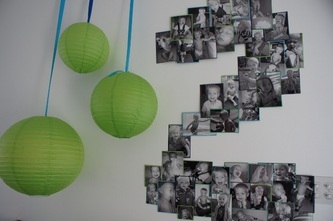 Behind the table, I hung 3 lanterns with coordinating ribbon and constructed a giant #2 of photos from the last 12 months. 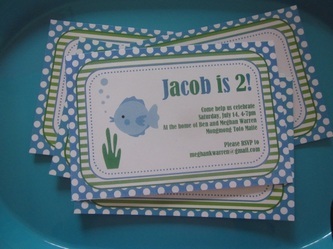 I love to see how Jacob has grown since his last birthday! 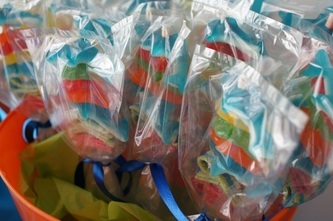 For the elevation, I cut 2 box tops and stapled them together before wrapping in striped paper. 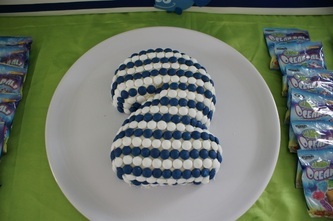 The 2 small boxes on top are floral foam that were again wrapped in the striped paper. 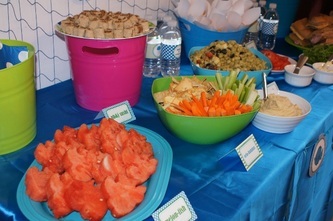 For the actual desserts, I like a lot of variety, but in small portions - less leftovers and happier guests! 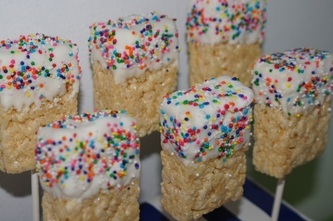 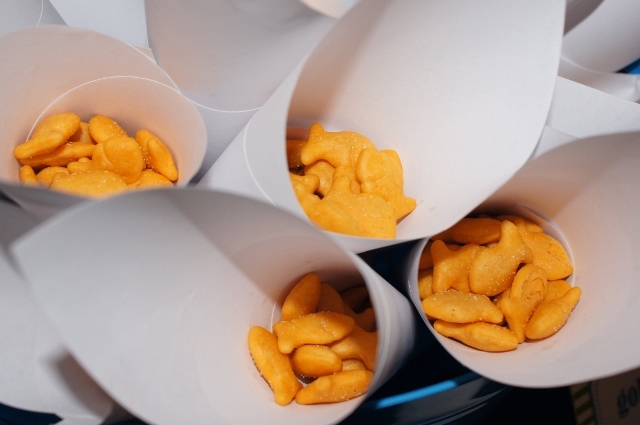 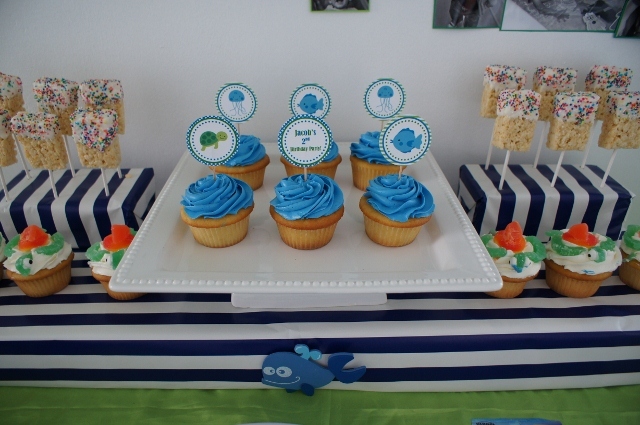 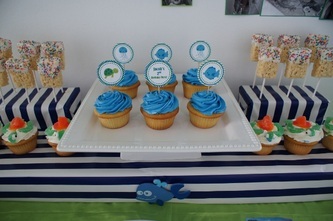 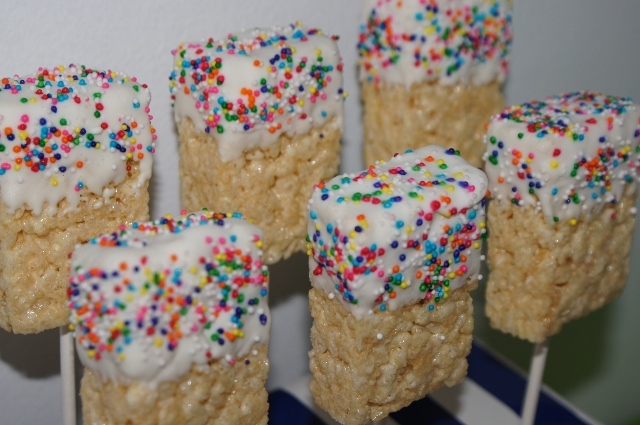 In addition to the vanilla cupcakes, rice krispies were dipped in vanilla icing and sprinkles, "dessert goldfish" were displayed in vanilla, chocolate and smores flavors. 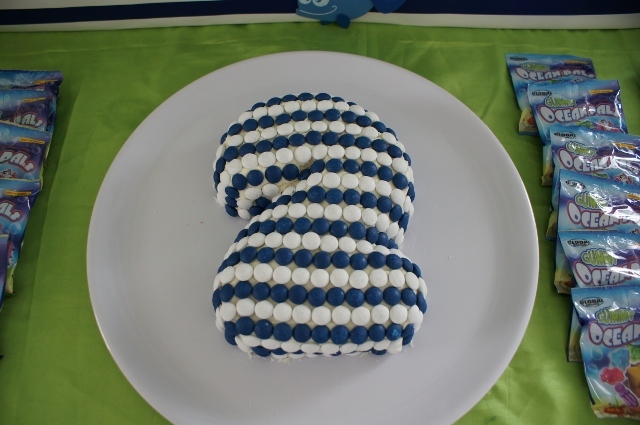 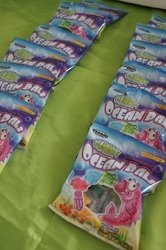 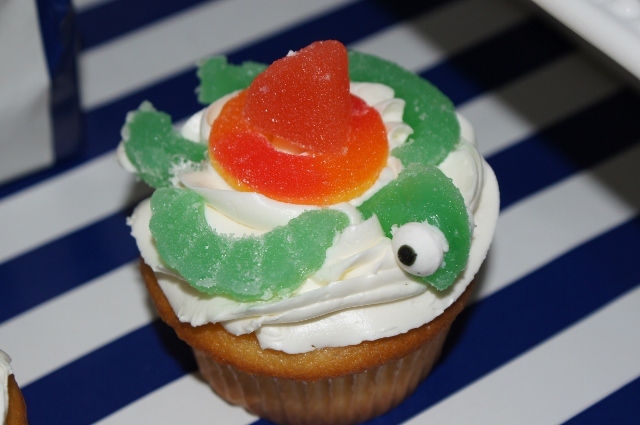 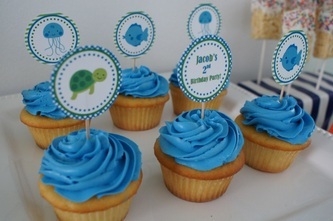 The #2 cake is a white cake with vanilla icing and decorated in candy plus I had to have the Ocean Pal gummies and classic chocolate turtles (my husband's favorite). 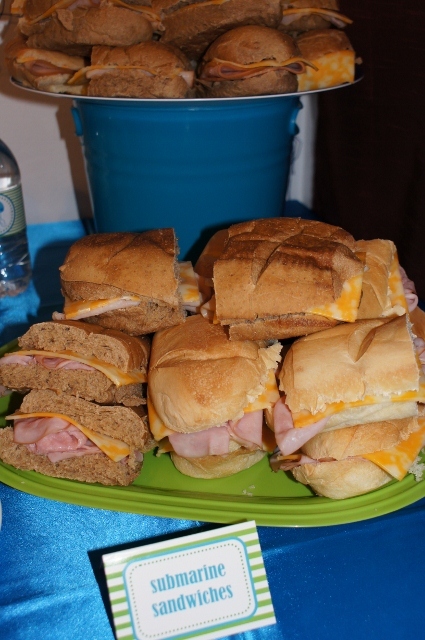 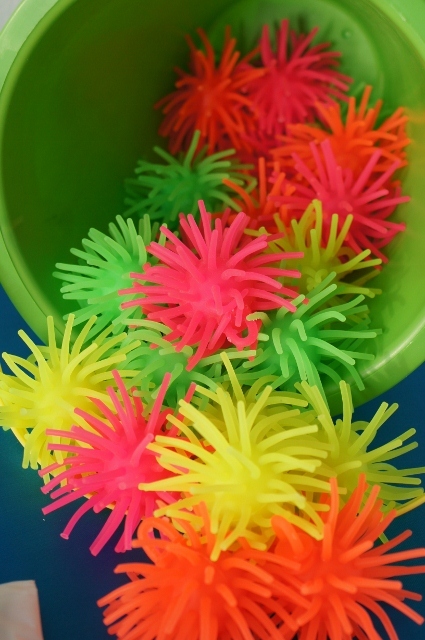 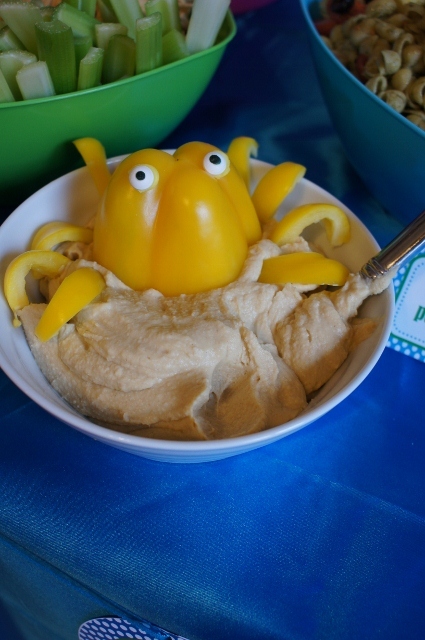 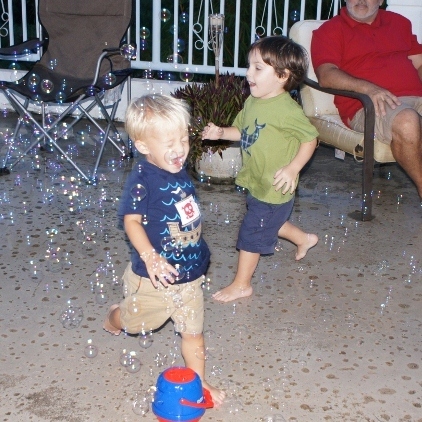 Since we have kids of all ages attend the party I like to have lots of activities to keep everyone entertained. 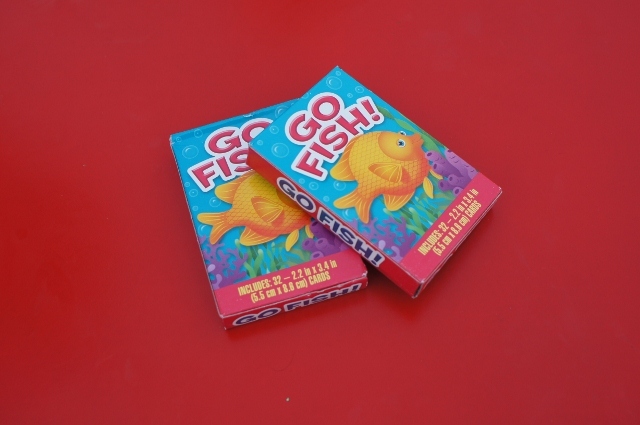 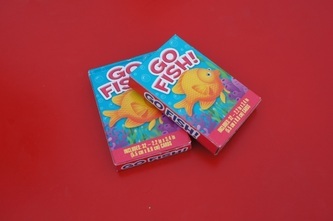 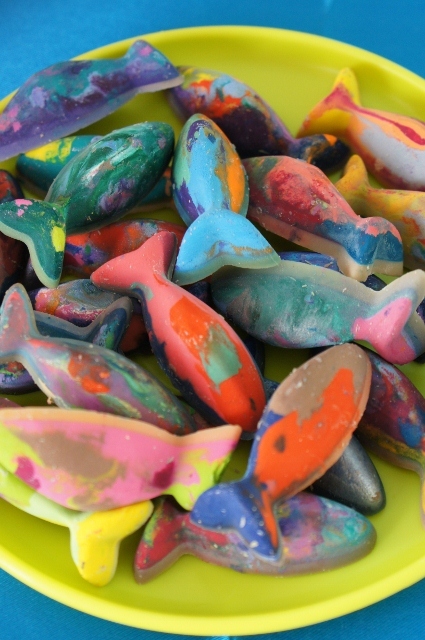 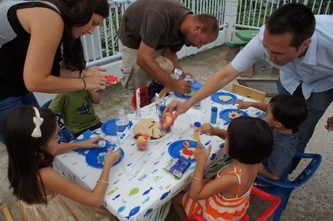 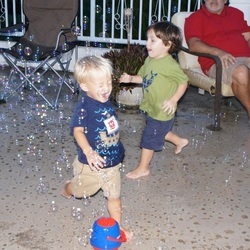 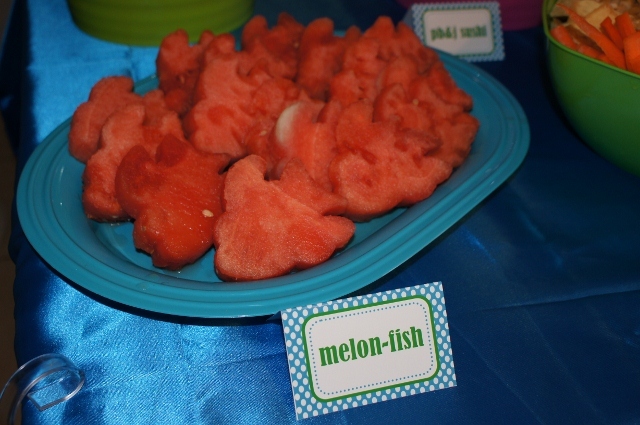 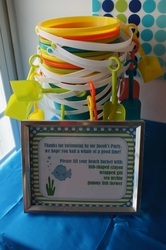 To carry on the theme, there was Go Fish!, fish-shaped cookie decorating and of course the bubble machine! 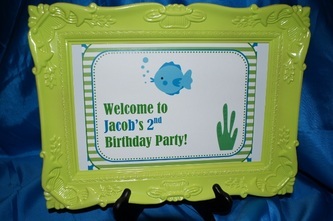 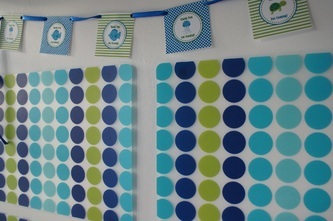 Jacob's favor table, I used place mats as a backdrop and leftover gift tags as a banner. 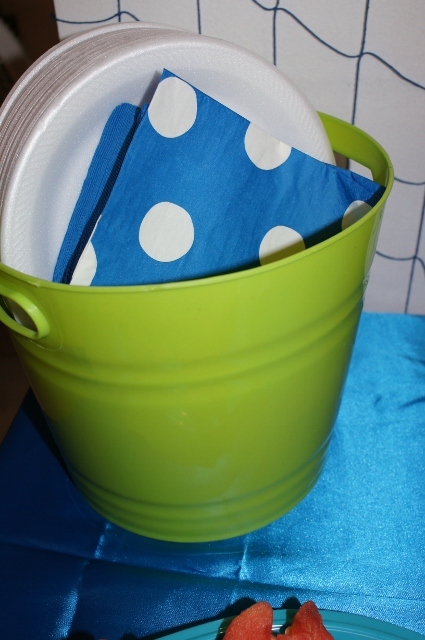 I thought it would be fun to give the kids instructions on how to fill their beach bucket, but allow them to choose their own in each category.